Spitting holy bars. The journey of Enrique - gang member to pastor, at 21 years old. 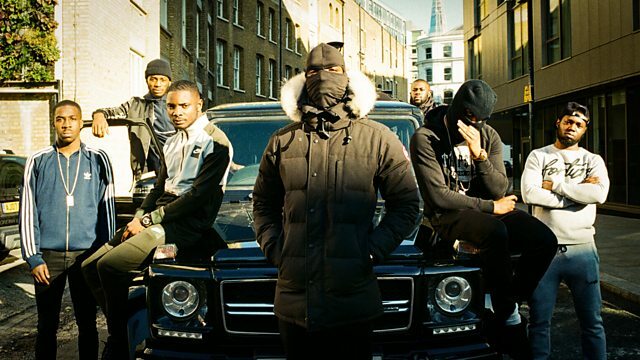 From the streets to God, via drill - the music genre increasingly linked to London knife crime. Looking at how young Christians are using rap and drill music to lure gang members away from streets and towards God. We join Enrique on his extraordinary journey from south London gangster rapper, to Pastor at only 21 years old. Having nearly lost his life in a stabbing in Brixton 4 years ago, he turned to God and the church of SPAC Nation to save him. He is now inspiring other young people to put down their knives and follow his lead. As part of Enrique’s story we meet other artists whose music is reaching out to young people and inspiring change. Artists like Hope Dealers, who spit holy bars over the hardest of beats, drill music. These movements, however, do not come without controversy; wearing balaclavas in church, accusations of being a cult and the large sums of money involved, have prompted some to question their holy intentions. Docs and entertainment direct from Radio 1.